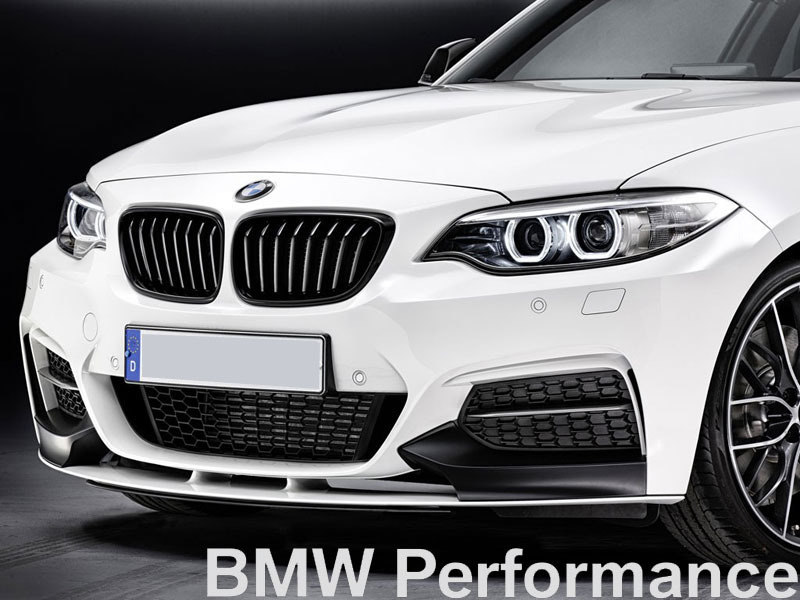 Genuine BMW F22 2 Series M Performance M Performance Front Lip Spoiler. This Genuine BMW M Performance front lip spoiler / spoiler comes ready to paint and install. Professional paint and installation is always recommended. 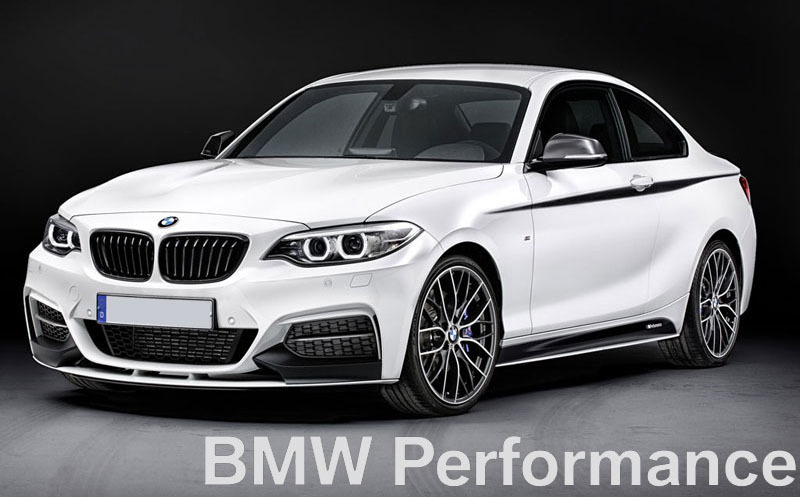 Factory M Sport or M Aerodynamics Front spoiler required. 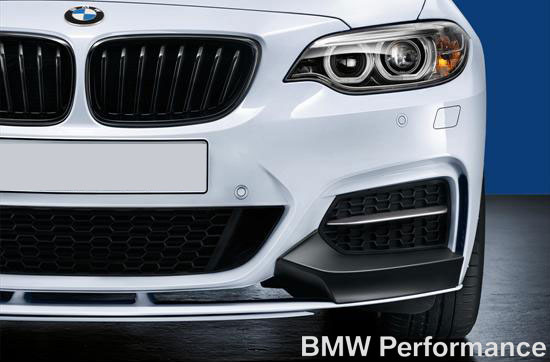 The M Performance front splitter is designed to decrease lift in the front of the vehicle and offers a sporty, aggressive aesthetic. 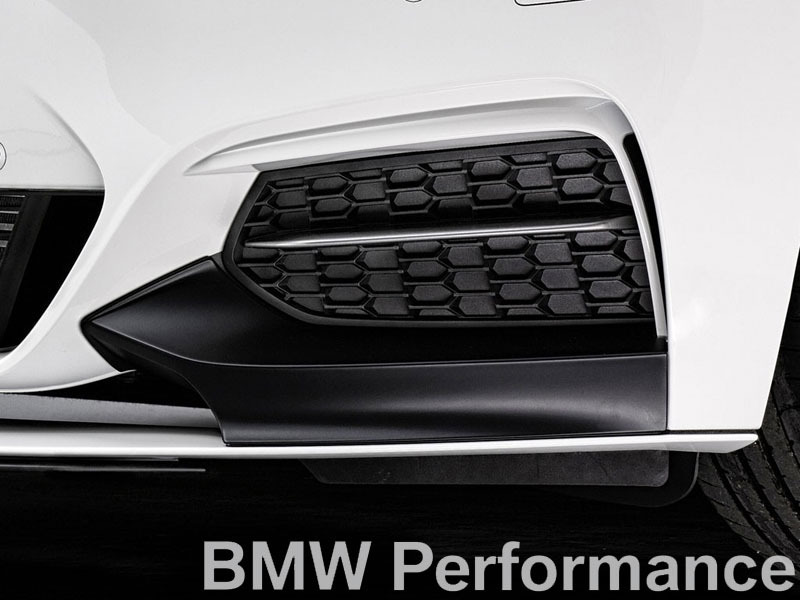 BMW recommends pairing this front splitter with the M Performance Rear Spoiler for optimally balanced aerodynamics and excellent visual appeal. This splitter can be kept black or painted to match body color.